Simple elegant cultured fresh water pearls set in shining sapphire set 9ct white gold leaf setting, for a classic and timeless look. 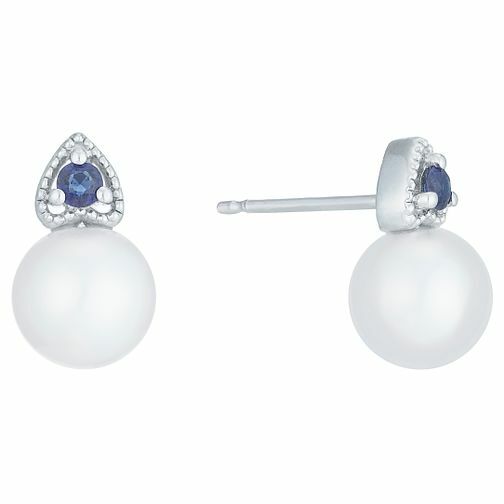 9ct White Gold Cultured Freshwater Pearl Sapphire Earrings is rated 5.0 out of 5 by 1. Rated 5 out of 5 by Anonymous from Chic and stylish These earrings are a beautiful design and set off any outfit perfectly.